Posted April, 2019 by Lillian Price & filed under Dentistry. The aligner is made of clear material that fits over your teeth. That means there is no metal for anyone to see. While someone may notice that you are wearing an aligner, the odds of anyone paying much attention are low. This one advantage is often enough to convince patients that Invisalign is right for them. out for a quick cleaning whenever you like. You can also remove the aligner when you eat or when you want to brush your teeth. That makes it easier to get rid of plaque, tartar, and other residue that contributes to dental issues and bad breath. The result is that you feel more comfortable around family and your Evanston coworkers, since you know that your teeth are clean and your breath is fresh. Choosing to go with Invisalign in Evanston means you don’t have to see the dentist as often. You receive a set of aligners that gradually move your teeth into the proper position. At the right time, you switch from one aligner to the next one in the sequence. While you still visit the dentist and get an idea of how things are going, fewer follow-up visits translates into more time you can devote to other things. Would you like to know more about the options to straighten your teeth? The staff at Stephens Dentistry can help. Call today or visit online and schedule an appointment. It won’t be long until your smile is better than ever. 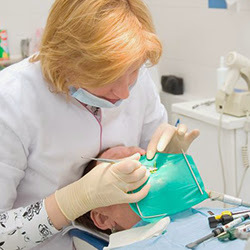 « What Should You Know About Dental Root Planing in Nipomo, CA?